Anna Mayer is coming to Portland! Grab a session. We love Portland. We want to show the love! These very special sessions are our way of saying “Hello, Portlanders, let’s make some beautiful images.” Don’t miss this incredible opportunity to capture your life through Anna’s lens. She doesn’t get to Portland often. Anna is coming to Portland in August and this deal is CRAZY good and available to new clients only. These Short and Sweets are all set to take place on Sunday, August 5th in the morning and late afternoon at George Rogers Park. Exact dates and times determined when booking. Who is Anna Mayer, anyway? Anna is a much sought after modern photographer whose work can be found on the Huffington Post, National Geographic, Animal Planet, the Today Show, Explore Minnesota, Professional Photographer Magazine . . . and more. 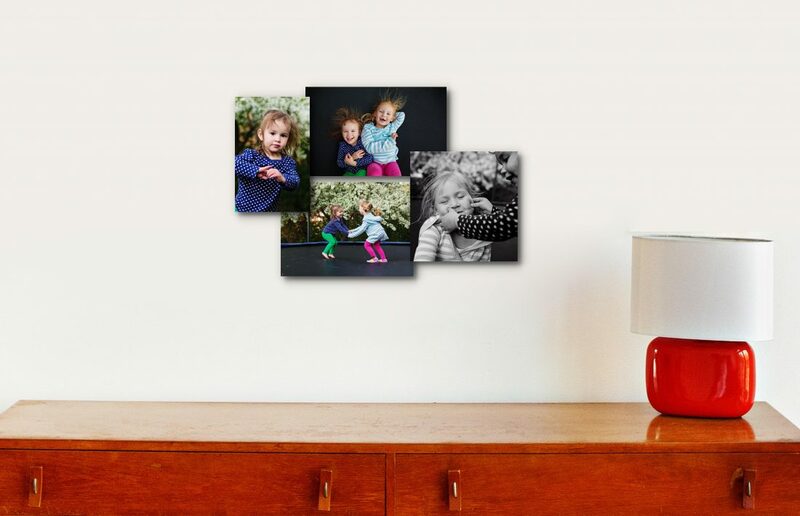 She travels across the U.S. capturing families in her unique and spontaneous style and creates wall galleries that are as unique and fun as your family. For more details scroll to the bottom for the FAQs. Once you book yours, tell your friends. Post this on Facebook, email it to a mom you know would love photos with Anna. Buy one for a friend her birthday. The whole idea behind us giving away the farm is, well . . . I love capturing the people I know and live with. It brings me joy! For every friend of yours that books with us you will receive another digital negative from your session! Wall galleries are my passion. We know that everyone tells you to make sure you get digital files, but files don’t smile at you from your living room walls every morning. Files pile up in your drawer, your hard drive. Creating wall galleries that bring a smile to your face every time you walk by is what gets me up every morning. I can’t wait to help you get your wall of love started! Or go symmetrical with your Wall of Happiness. This special comes with four 8x8s but you can always upgrade to 10x10s or add more photos to multiply the joy. Add more prints from this session or add to it over the years. These walls have a magic way of reminding you, on the hard days, that life is beautiful. 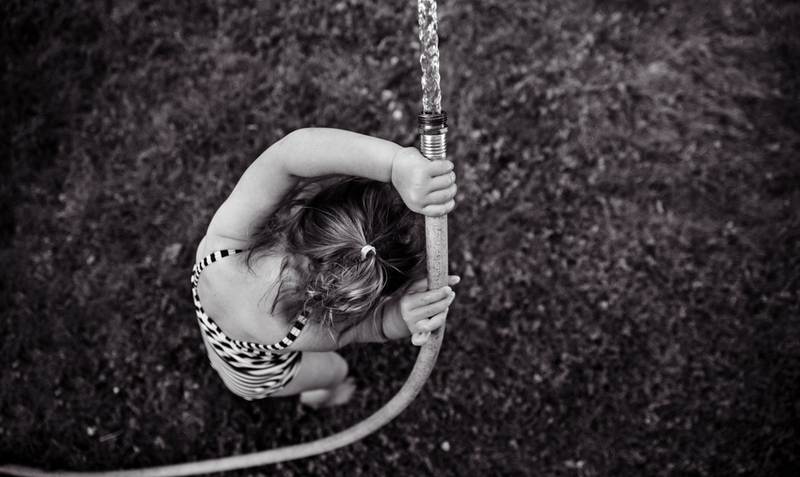 At the Lake -A perfect example of what we can capture in a 1.5 hour UnScripted session. One Day with a Milwaukee family– This is a full day session, UnScripted, but the style of the shoot gives you the feel of an UnScripted session. Getting REALLY real– You can make your “real life” shoot as real or as polished as you choose. You might want to coordinate your family just so, or maybe you want me to show up and capture your bed-heads in PJ’s while you eat Saturday morning pancakes. That is totally up to you! Do I get the digital files? We are a full service studio and our main goal is to get prints, albums and galleries into your life, rather than files onto your harddrive. We do offer digital files with purchase or without. See here. Can I buy a package for someone? Yes! Just make sure you let them know the date restrictions so they don’t miss the awesome, insane savings! Can we buy more the 4 11×14 prints or 3masonite prints? Absolutely! Of course you have the option to just keep what comes with this offer, but we can tell you now, you’re gonna love more than 10 photos! We have the full line of products available to you and we can go over those options when we meet for your photo reveal. Can I just skip the photo reveal and review my photos online in my own time? We value your time and we value your experience. After 13 years providing full service to our customers we have learned that the best experience for you is to meet with us to make your selections and to let us help you with the best options for your photos your home and your budget. We promise this is the most pressure free appointment, Anna is just a guide in the process. The only thing we will insist upon, because we KNOW this is what you will be most happy with in the end, is that you make your selections that day. Don’t worry, though, we will give you at least 24 hours with your gallery before your meeting. It’s painless, we promise. Where do we take the photos? George Rodgers Park in Portland, Oregon. But do I really need a wall gallery? 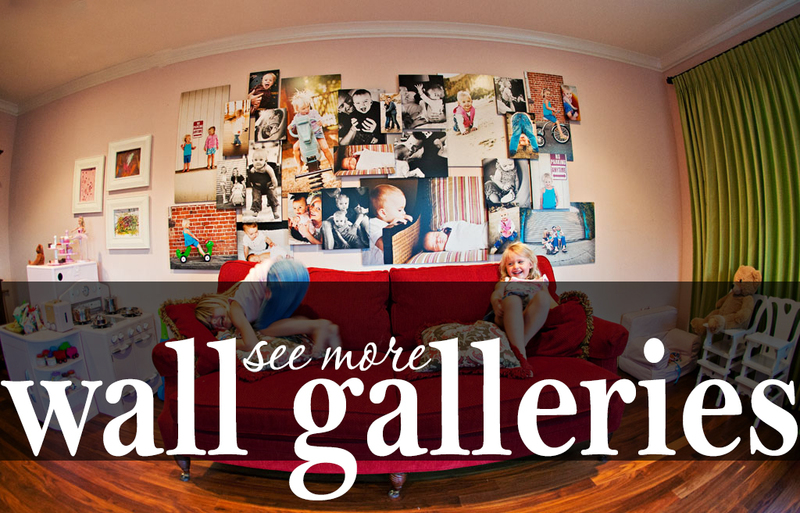 Wall galleries are what sets us apart. From the very beginning we believed that getting photos off of harddrives and desk drawers and onto the walls and into the hands of our clients was the most important thing we could do. Many photographers just hand over the digitals and for some people that is perfect. For most of us, though, it’s just another thing that get’s put on our never-ending to-do list, giving us nothing but guilt as they pile up, unseen. That’s not the best customer service we can give. Wall galleries and amazing albums? Now we are talking! Okay, but what IS a wall gallery? Our wall galleries are created using real photographic prints on a masonite backer board, then laminated to protect the photos from dirty fingers and flying coffee (it works, I’ve ahem, tested it). They are then mounted on foam and attached to the wall via velcro and command strip adhesives that protect the walls from damage. They are awesome and unique. And they really are a show-stopper on your walls. Our Walls of Love have been bringing joy to families in California, Minnesota, Texas, Washington DC, Massachusetts, Oregon, Illinois, Washington state, Florida. . . okay, all over the U.S. for the last 13 years. A client or fan from San Francisco could walk into the home of a friend in Chicago and take one look at their Wall of Love and say “That’s an Anna Mayer wall, isn’t it?” The joy is real and we hear from clients ALL THE TIME about how much happiness their galleries bring. So, it says I get three 8×8 or 10×10 masonite prints but those photos look like different sizes. When we create Walls of Love, or the layered wall galleries, we use photos of all sizes to give it that varied, random feel. To keep the pricing clean and simple photos are priced by the general size they relate to. So a gallery might have one photo that is 15×18 (priced as a 16×20), a couple 10×10, 11×14, 10×15 or 10×10 (priced as 11×14) and a handful of 8×8, 7×10, 8×10 etc (priced as 8×10). The starter gallery that comes in this special might have an 8×8, two 8×10 and one 6×9. The symmetrical gallery would be 8×8’s. Both are valued at $560. You could upgrade to the 11×14 range for layered or 10x10s for the symmetrical gallery for $200 more. How do we create a wall gallery? Don’t panic, Anna’s got this. 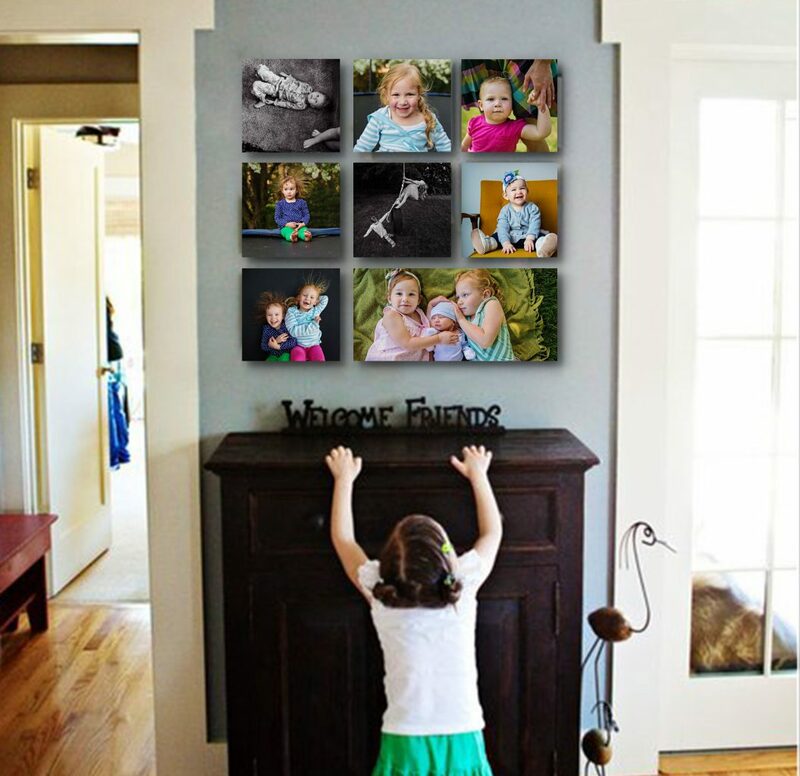 She has been creating wall galleries for 13 years and she will walk you through the process of creating yours, from choosing the best photos to represent your family to deciding the layout (something layered and random or something more symmetrical and “clean”) and determining which size is the right scale for your available space. But I don’t have a lot of wall space. Most of our clients don’t! One of the things we most love about these galleries is that they can be scaled to fit any space. From a small wall between doors in a hallway to an epic living room wall with vaulted ceilings. We promise, you have space for this and you will LOVE how it brings joy and life to your walls. Think of outfitting your group as you would put together a single outfit. 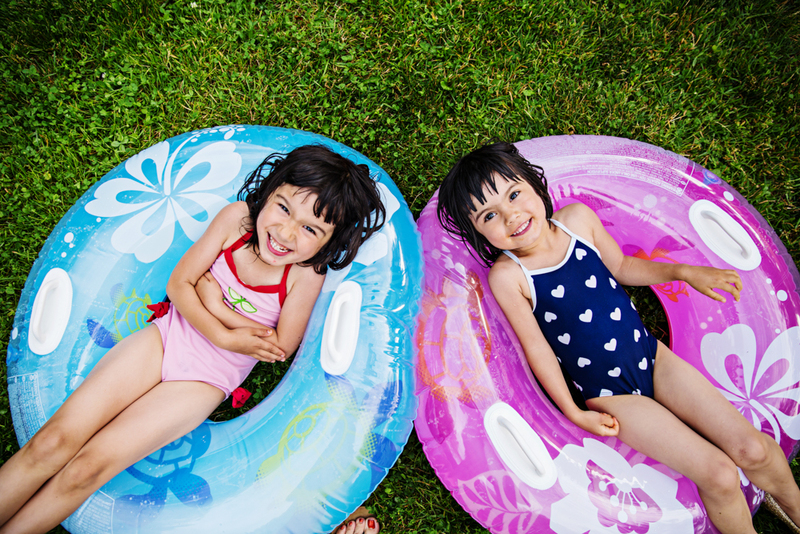 Select a piece, perhaps your daughter’s patterned dress, and use the colors in the pattern to find coordinating pieces that will draw out those colors. Flowing white shirts and khaki pants flowing in the breeze of a sun-drenched beach. Yawn. Think o yourself. Would I ever in a million years find myself wearing this outfit for something other than this photo shoot? If the answer is “no” then you shouldn’t be wearing it for the shoot either! Patterns, Yes. Characters. Usually No. 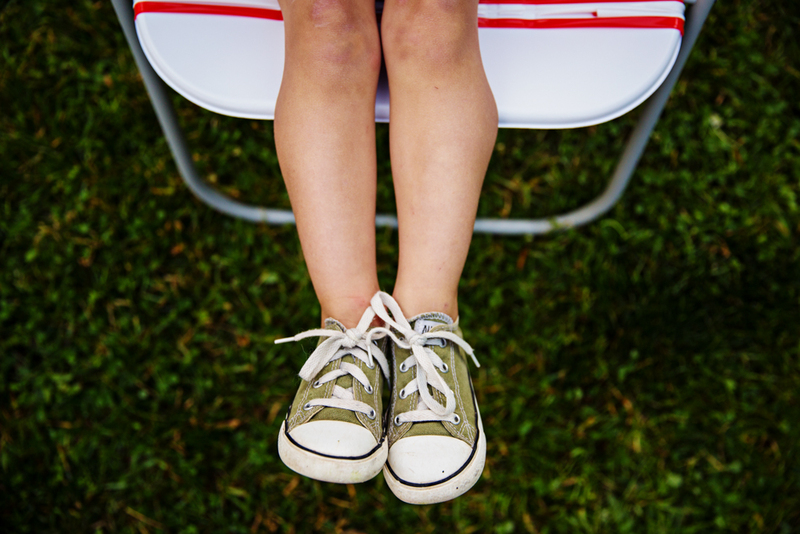 Sometimes the little ones (and big ones) have strong opinions about what they will wear. It may seem easy to just give in and let Sophie wear her Doc McStuffins shirt, but instead guide her toward choosing a favorite patterned outfit or bold logo shirt (think Mini Boden), however crazy it might be. We have put together a What to Wear What to Wear Pinterest idea board with some good ideas for building your palette from. 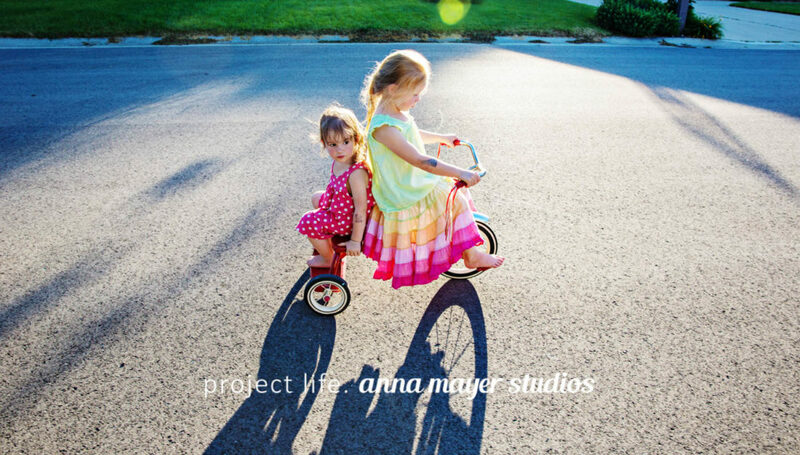 Nationally recognized, award-winning Milwaukee photographer & videographer Anna Mayer tells stories for families, business, and organizations with fun, fresh and modern photography and videography. Her work can be found hanging on the walls of families in most of the 50 states. Additionally, she's been nationally published by Random House, Shutterfly and Professional Photographer Magazine and her film work has been featured on the Huffington Post and Explore Minnesota. We work with families, business, non-profits... anyone with a story to tell. For families, it may be through an amazing wall gallery for their home or a moment in time, captured in film. For businesses, it's usually a short film for their website.